A Call of Duty: Modern Warfare 2 Remaster is on the way, if an Amazon Italy listing proves accurate. Amazon Italy has posted a listing for Call of Duty: Modern Warfare 2 Remastered with a price point and release date. Spotted by IGN Italia, the game is set for release on April 30 on PS4 and Xbox One. Amazon Italy has it priced at €19.99. It’s always best to keep in mind things of this sort could be a placeholder or a mistake on the retailer’s part. Still, a remastered version of Modern Warfare 2 coming to current-gen consoles wouldn’t be surprising. Modern Warfare Remastered standalone was leaked in June 2017 not long before it was announced, and retail leaks are not uncommon. Upon release, Call of Duty: Modern Warfare Remastered was a timed-exclusive for PlayStation 4 users. It was made available at both retail and through the PlayStation Store. PC and Xbox One users were able to purchase the title once the 30-day exclusivity period ended. 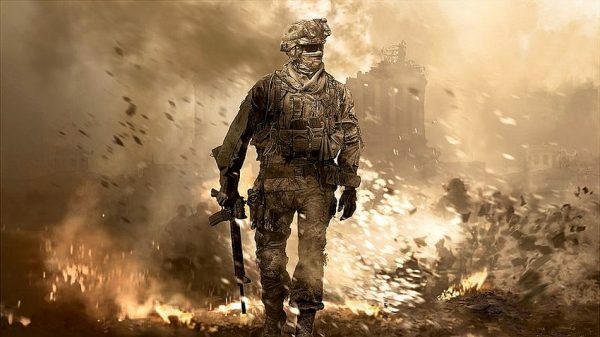 If the listing for Call of Duty: Modern Warfare 2 proves true, we can probably expect an official announcement from Activision soon.